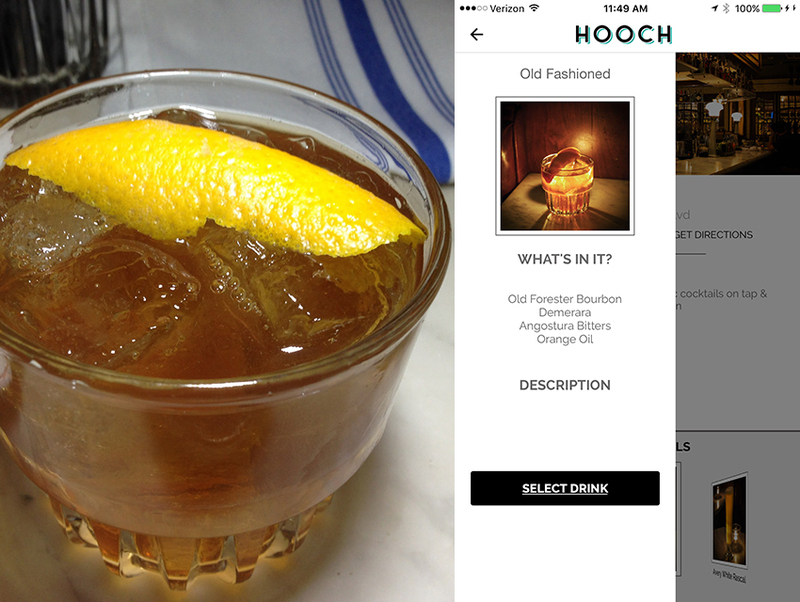 Order up an Old Fashioned at Harlowe via this app. Photograph by Caroline on Crack and screen capture of Hooch app. How would you like to get a free cocktail every day for less than $10 a month? New cocktail app Hooch (it bills itself as a “private cocktail society”) just launched this year, and for $9.99 a month subscribers get to claim a cocktail every day at participating bars. That’s crazy—we know!—and sounds too good to be true considering cocktails in L.A. average about $11 or more each. If you claim even just one free cocktail a month, the membership pays for itself. How can this app afford to stay in business? It teams up with local bars to help promote them. By “buying” members a drink it insures butts on barstools and the promise that these new drinkers will stick around to spend more money on more cocktails. The downside is that right now there are only about 23 participating bars in L.A. and not many craft cocktail ones at that. Choices vary from clubby sports bar Rock and Reilly’s to Lisa Vanderpump’s Pump. Download the app for free to see which L.A. venues are offering “free” cocktails. But there are a few gems. Here are some of our picks for the best cocktails you can currently get on the app along with their actual prices. The app is currently live in both Los Angeles and New York with plans to expand to San Francisco, Miami and even Hong Kong.